Top Fives: 2010 Discoveries – my books. my life. It’s time for the final Top Fives post. I hope you’ve enjoyed them. 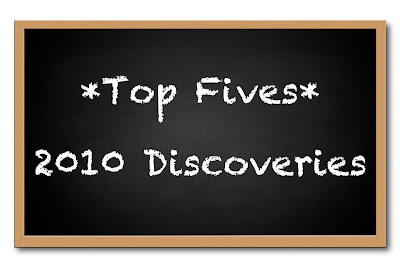 Today is my top five 2010 discoveries. As you will see, it’s a rather eclectic list. I visited a number of new cities this year but none of them compare to Asheville. Ben spent the summer there and while I only visited for four days, I would drop everything and move there if we could. It is a lot like Ann Arbor (which you know I adore and miss like crazy) but with southern charm (credit goes to Ben for that comparison) and milder weather.. Mountains to hike on the weekends, vegetarian restaurants galore, and indie bookstores to peruse. Living in Asheville is kind of my new goal in life. After years of slowly moving in this direction, I finally committed to being a vegetarian. It’s been almost an entire year now since I’ve had meat of any kind. 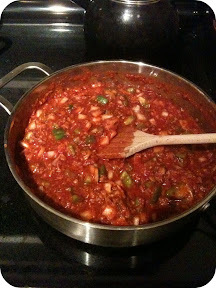 And I love it (although my mom was cooking bacon this morning and that really tested my resolve). I feel healthier but, more importantly, I feel like I’ve correctly made the moral decision that I’ve struggled with for a long time. I appreciate that not everyone can do this but I’m so happy with my choice to give up meat. As I mentioned a little yesterday, I started running in 2010. Only a few months ago I thought I could never be a runner. I had tried in the past and failed. But after a few people encouraged me to try the Couch to 5k podcasts, I decided to give it a shot. Now I’m only two weeks away from my first 5k race. I’ve been plagued with a few injuries but for the most part it just feels so good to finish a run. Also, [see photo to the right] is one of the places I get to run. Hard to hate that. I couldn’t include them in my Top Fives: 2010 Albums post because they didn’t release an album this year, but I only discovered The Avett Bothers in 2010. And I LOVE them. Please go listen to I and Love and You if you haven’t already. I also wish January Wedding had existed when I got married (in January 2005). This one is just on here for kicks. The Wizarding World of Harry Potter opened this year in Orlando and thanks to some Annual passes, it’s relative proximity to my home, and the wishes of many visitors, I went three times in the first few months it was open. You can read my post on it here. 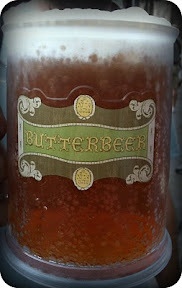 But I really do love the Butterbeer. Cheers! What did you discover in 2010? Great list! Awesome on the vegetarianism! I was a vegetarian for 5 years as a teenager but I guess it was just a phase, lol. I wish I could be a runner… I’m not, but I have run a 5K (my work’s first annual one) and if I can do it you TOTALLY can, LOL! We have annual passes to Universal too! I love being able to just get up and go whenever! Oh, another vegetarian, that is always heartening to hear! And I hope 2011 will be the year I discover running (or rather, that the stupid snow and ice would melt and I could go running already!) Good luck on that race, it looks like a great view to run past! I’m pretty sure you and I would be best friends IRL if we didn’t live so very far away from each other. 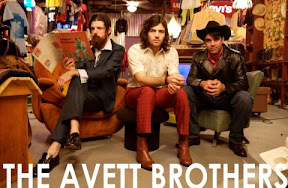 Love, love, love The Avett Brothers (I was actually listening to them as I read your post). So glad you found them! Wonderful discoveries, Michelle! Asheville looks like a wonderful place! Congratulations on becoming vegetarian! That place where you get to run looks so beautiful! Wish you all the best on your 5k race! I haven’t heard the music of Avett brothers. I can’t wait to try listening to the songs you have recommended.